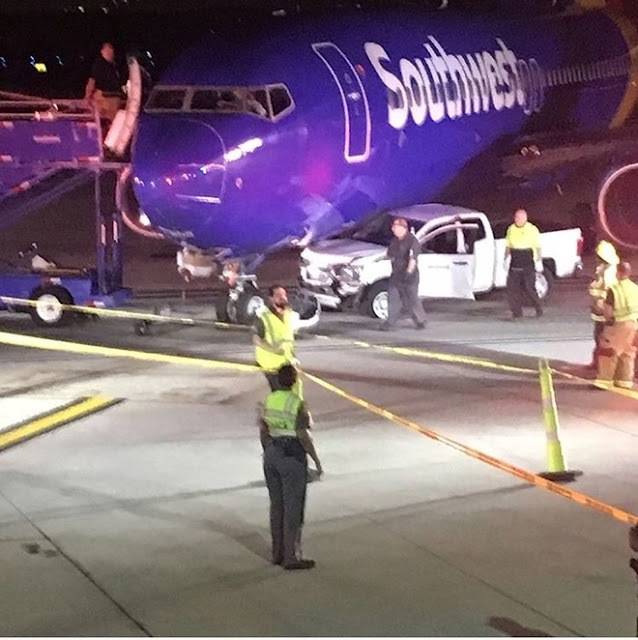 Ground vehicle struck Southwest Airlines flight 6263 at the gate. LINTHICUM, Md. — A ground vehicle at BWI Thurgood Marshall Airport collided with a Southwest Airlines plane on a runway late Sunday night, officials say. 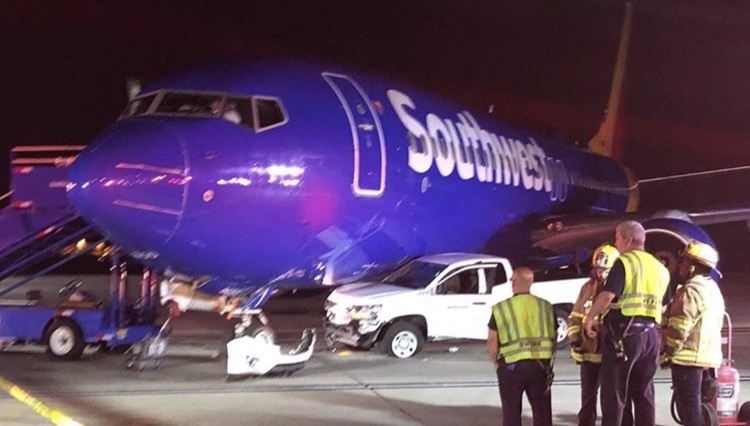 Southwest Flight 6263, arriving in Baltimore from Ft. Lauderdale, Florida, was pulling into a gate when a ground vehicle came in contact with the plane, officials say. 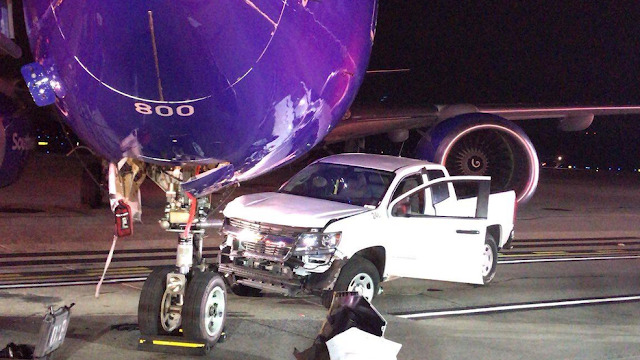 Several passengers sent 11 News pictures of the collision before and after getting off the plane. No one on the plane, or in the truck, was hurt. All 172 passengers were able to get off the plane using airstairs. Officials are still investigating what caused the collision. WASHINGTON (WJLA) – A pickup truck hit a Southwest Airlines plane coming into Baltimore–Washington International Airport from Fort Lauderdale, Florida, early Monday morning. A passenger on the flight tells ABC 7 News there were no injuries on the flight. 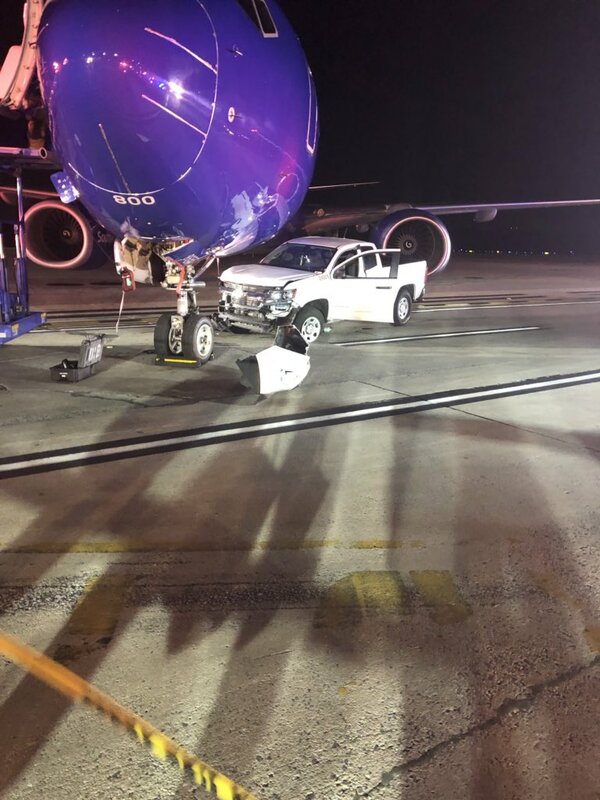 "Southwest Flight 6263 with scheduled service from Ft. Lauderdale to Baltimore was pulling into the gate at Baltimore Washington International Airport (BWI) when a ground vehicle came into contact with the aircraft. There are no reported injuries of the 172 passengers." Passengers were being assisted off the plane. What do you want to bet he was texting? The airplane was flying when he came it park..